rendering of the pool built in your own backyard - right online! Exploring the possibilities is so easy with PoolDesignEstimator.com. Come visit, pick your pool shape, size and options for a price right now - online! After choosing your pool and options you'll get a proposal and price instantly. Then we'll send you a full color artist rendering of what it will look like in your own backyard. Just send us two or three pictures of the back of your house and we'll take it from there. If you like we'll even stop by and take them for you! 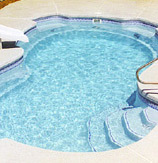 PoolDesignEstimator will get you swimming pool quotes in as little as 90 seconds! Get your free, no obligation online quote today! From Hohne Pools - America's Pool Builder. "I just had Hohne replace my inground liner. They were there in two days to complete my job. That's the beauty of hiring the right people. Hohne hires and trains the right people who are professionals themselves. I think their work is excellent. Hohne put my pool in 12 years ago so. Without any hesitation I would recommend Hohne to everyone! "The people at your company always treated me very nice and were helpful and very friendly. Always gave me great advice. Thank you!" "Your guys did an absolutely beautiful job- they were very pleasant and I was extremely impressed that they were so careful to clean the tiles and brick while they were working- I really can't thank you enough- we finally get to be excited over the pool and just love it- it really means a lot- thank you so very much- your the absolute best and I'll let you know when the pool is full so we can get the chemicals in. "Gary, you've been great and so easy to work with! Thank you!" "Thank you, thank you!! Guys were awesome! Provided coffee and donuts. Looking forward to having Hohne service the pool in the spring!" "The pool is done and I am very pleased with it. Your guys did a great job!" "The whole project is exceeding expectations!" "Gary, I just wanted you to know how impressed with Jim Enfield we are. He deserves a special pat on the back!" "Thank you for sending the crew out Saturday. The pool looks great!" "Our pool looks great, Gary! Thank you!" 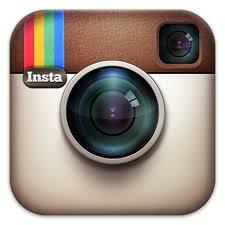 "Your retail store person, Rob Pasco, was very helpful. We really appreciated his knowledge. Thank you!" "We are very happy with our liner replacement. The crew was very professional and courteous." "We are very happy with our pool. Hohne Pools has always been there for us. Thank you!" "I appreciate your responsiveness and your patience. Hohne has been great work with! Keep up the great work!" "Gary, So glad you had a great time and thank you for your support with the golf tournament. This is the 3rd hot tub that we have bought from you, we do not even think about looking anywhere else because we like the product and the service. Dana greeted us at the door with a smile and we walked out with a smile. We adore Jim from service!" "Good Morning, on Friday, November 6, 2015. my liner was replaced by your company. The installation crew was efficient, timely and courteous. This was much appreciated." "It turned out great. They did an awesome job and we keep getting compliments about the work!" "Gary Thank you -- Sharon and Dana were very helpful bringing some procedural clarity to this project." "The pool is really nice. You guys did a great job! The pool deck is really nice too." "I got your name from a friend; his pool was built by Hohne. He said it's a great place to get a pool." "Gary, we appreciate your prompt reply. The light is working. It is one of the things that I really like about your company...you don't nickle and dime on things that other companies consider to be upgrades. The salt water system, good filter, a high-end light, etc." "I have to tell you, Tom is fantastic. He has been great from the beginning." "Thank you so much for helping me and for being there! Thank you, thank you, thank you!" "Gary, the liner is beautiful. Your crew did a great job!" "Hohne was highly recommended. When I mentioned I needed a pool project done, my friend said "I know just who to call - Gary Hohne. 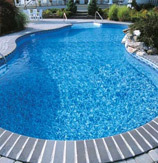 They're great and will do an excellent job"
"Hohne Pools installed our pool this past summer and we love them! They were on time and always professional. Our new pool is perfect. They were recommended by several friends and we can see why. Their pool store is great. The staff is very knowledgeable and always helpful. We now recommend them too!" "Gary was great to work with. He helped me find a great pool design that fir my budget. The work was done very well and I have recommended him to others." "Our beautiful in ground swimming pool was built in 2000 by Hohne Pools. From design through the magical moment when the tank trucks arrived and filled the pool; no detail was too trivial for Mr. Hohne and his team. Over the last 13 years we continue to have the same uncompromising level of service. Annual opening and closing the pool during the swimming months, chemical analysis of water samples and any other minor need we may have are all promptly addressed and professionally remedied. In short we are very satisfied." "We love our Hohne Pool. We never have had a problem. My neighbor has one too. We both enjoy them very much, completely happy. We're both very pleased." "Thanks for the meticulous work up to this point." "All our neighbors love what was done. We receive compliments every day. The say things like they've never seen anything like this The imagination and creativity lend to a design that is inviting where you never want"
"You should know that people are saying great things about you and your efforts... I have had some experience in both general building and aquatic specific work, and I know that it is quite a process! I think people feel like we are lucky to have you.I actually learned how to swim and dive at Overlee in the late 1960's, as did my brothers and sister, and then my own kids in this new millennium. So many of our family's great memories were made at and with Overlee, and I can only say THANKS to you for helping a new wave of swimmers and divers make new and lasting memories." "The interesting thing is the service never changes from the Hohne organization. We have had Hohne build four pools and were extremely pleased each time." "I just wanted to write this to say what a wonderful experience it was having the skill of such a talented organization working for us. The entire process was painless and exciting. Thank you." "Good Morning - I just had to tell you that your entire staff has been wonderful. The plumbing manifold is going in for the equipment and I have to say it is the neatest most professional job I have seen in a long time. If you are not aware, I am in the commercial construction mechanical service business and I have done well over 7,000 projects. The job Hohne has performed thus far at my residence is exceptional. My hat goes off to you and your staff."